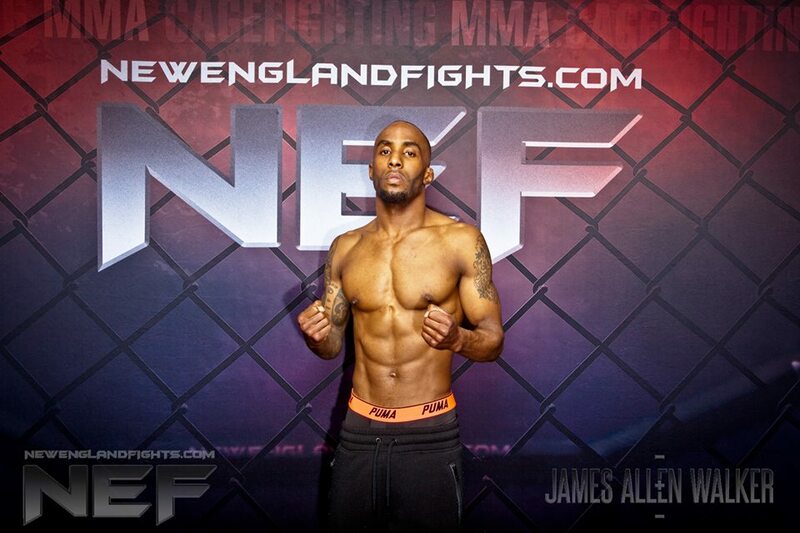 FOR IMMEDIATE RELEASE: Portland, Maine (October 1, 2018) – Carl Langston was admittedly late to the mixed-martial-arts party, so five years and 16 bouts worth of amateur experience in the New England Fights cage didn’t feel like that much time. Opening bell time for the card at Aura is 7 p.m. It’s a return to the scene of Langston’s bantamweight pro debut in April, when he dropped a unanimous decision to Ernesto Ornelas. The 135-pound bantamweight limit is a class below where he tackled most of his amateur activity, and a cut of more than 25 pounds from Langston’s walking-around weight. All-out training and the discipline it requires are nothing new for Langston, who started competing in the sport of taekwondo at age 6. He was a quick study, advancing to the Junior Olympic level, where he won a silver medal in 1999 and backed it up with gold in 2000. “I just continued to do it throughout my life, then kind of went away from it for maybe five, six years, but I always had that fire for competition,” Langston said. After his initial exposure and expressed interest in MMA, a friend connected him with Balanced Ground, a gym in Windham. His initial fight was a unanimous decision loss to Mike Peiterson of Young’s MMA at “NEF 11” in November 2013. Langston later lost to another Young’s fighter, Fred Lear, and split a pair of intense battles with Sheldon Bang that went the distance. His career was at a crossroads when the gym near his home closed its doors. Langston’s prior interaction with Young’s paid dividends when the highly respected Bangor stable invited him to join its ranks. That switch led to more success in the cage: Langston won three of his final four amateur fights before making the jump against Ornelas. The hardest part of Langston’s transition from one specific martial arts discipline to the broader realm of MMA has been the less immediate gratification. That issue was magnified after the loss to Ornelas, whose camp consented to his request for a rematch in June. Unfortunately for Langston, he was unable to make the weight, and the encore was canceled for now. Herrera has gone 1-7 but shown vast improvement in the cage while campaigning as an independent pro against some of NEF’s best: Jesse Erickson, Matt Denning, C.J. Ewer, Josh Harvey and John Raio. He picked up his first win earlier this year and took Ornelas to the third round before succumbing to a guillotine choke. NEF’s next mixed-martial-arts event, “NEF 36: Battle for the Gold,” will see the company make its return to Aura in Portland, Maine. The event is scheduled to take place Saturday, November 17, 2018 with a bell time of 7 pm. Tickets are on sale now at www.AuraMaine.com.